7 lines of text plus scrolling footer. Mobile data connection for accurate bus arrival information in real time. 6 lines of text plus scrolling footer. 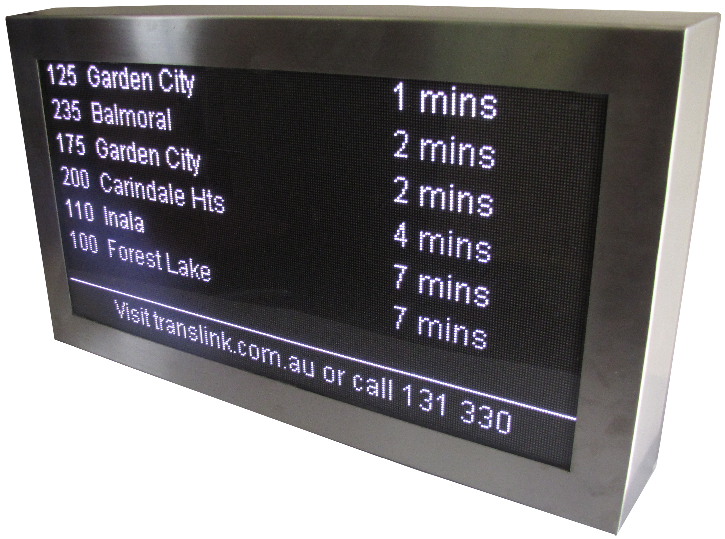 Remote data connection for accurate bus arrival information in real time.